Following a career as an agricultural advisor, Richard was ordained in 1994. Since then he has served in the Diocese of Chichester as Curate, Vicar, Archdeaconry Warden of Readers and Rural Dean. From 2009 to 2014 he was the Diocesan Advisor for Mission and Renewal and leader of the Church Growth Team. 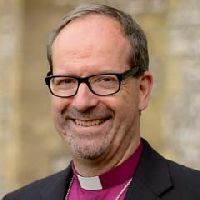 In May 2014 he became Bishop of Lewes and as such has responsibility for most of East Sussex. His spiritual direction training was with Larry Crabb in the US and he is committed to a model of spiritual direction that takes seriously God’s call to our holiness and moral transformation.